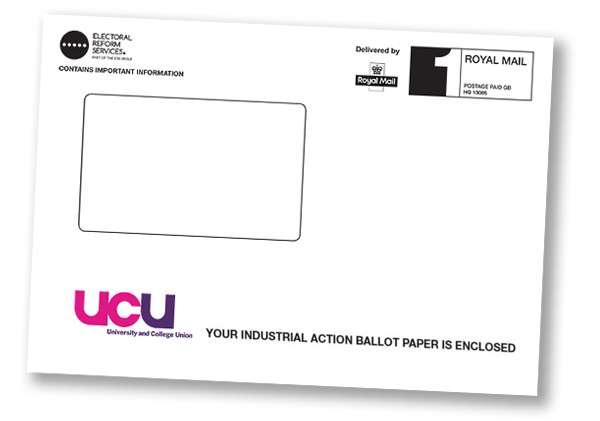 The national pay and equality dispute ballot opens today, Thursday 30 August, and we are urging all members to vote YES to strike action and YES to action short of a strike (ASOS). We’re facing yet another serious pay cut in higher education on top of the recent attacks on our pensions. The employers have made a ‘final’ offer of 2% at a time when inflation is at 2.4% and when we’re likely to be paying higher pensions contributions from next year. These cuts come on top of years of pay awards that have failed to keep up with the cost of living. Pay has increased by 8.8% since 2009 when, in the same period, inflation has increased much faster – by over 31% using the RPI measure and over 19% using the CPI measure. This amounts to a real terms loss of between 11% and 23% in our pay. Members voted overwhelmingly in the recent consultative poll to ballot for industrial action in pursuit of a fair pay deal and one that also tackles crucial issues around the gender pay gap, casualisation and workload. The ballot will run between 30 August and 19 October. It will be disaggregated, meaning that votes will be counted branch by branch and we will need to ensure a 50% turnout for our vote to be lawful. That’s why we’re contacting you now – because we need your support and want you to raise some important questions with colleagues. How can university staff be faced with yet another pay cut when the sector made a surplus of more than £1 billion in 2017? How can the employers preside over a gender pay gap of 12.2% but managed to find £4.2 billion to spend on buildings and infrastructure in 2017? Why are over 10,000 university staff earning below the living wage when vice-chancellors received an average pay package of £289,756, 6.5 times the average pay of their staff? Why are more than 50% of academic staff still on insecure contracts (including more than 61% at Goldsmiths) when the sector reported an increase in revenue in 2017 of 2.9%? Why are academic staff working an average of 50.9 hours FTE per week, nearly 40% above the usual contract of 37 hours per week – a sum that amounts to almost two free days of work per week – when universities are sitting on £44 billion of reserves? Why are university staff facing yet another below inflation pay offer, while Vice Chancellor pay is increasing above inflation? We know that the higher education sector is facing a volatile future and that Goldsmiths is far from the wealthiest institution but nevertheless with £87.7 million of net assets, the College should be able to provide fair pay to staff and to set an example to others about a democratic and transparent remuneration policy. Read the full UCU claim here and a very detailed report on pay from Leeds UCU here.